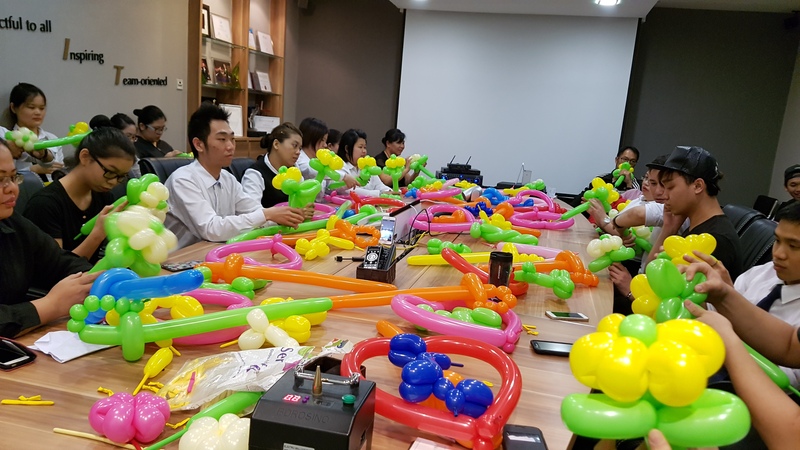 Balloon introduction class is $25 per pax, with a basic introduction to balloon sculpting. 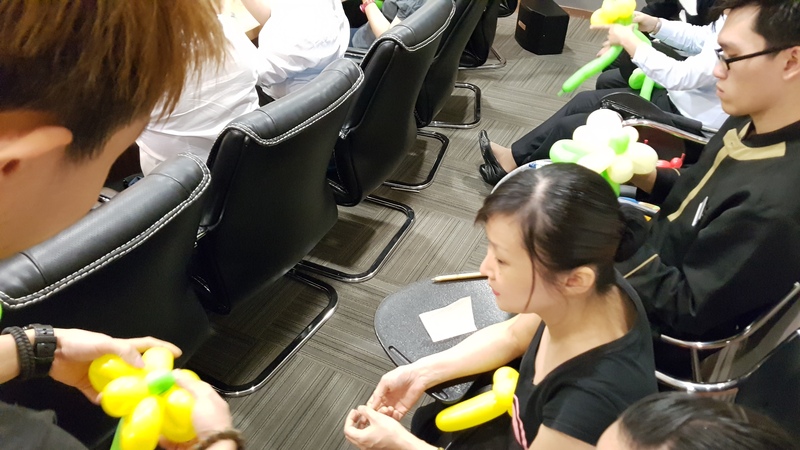 1 hour of balloon twisting class for Changi airport group! It was a blast! 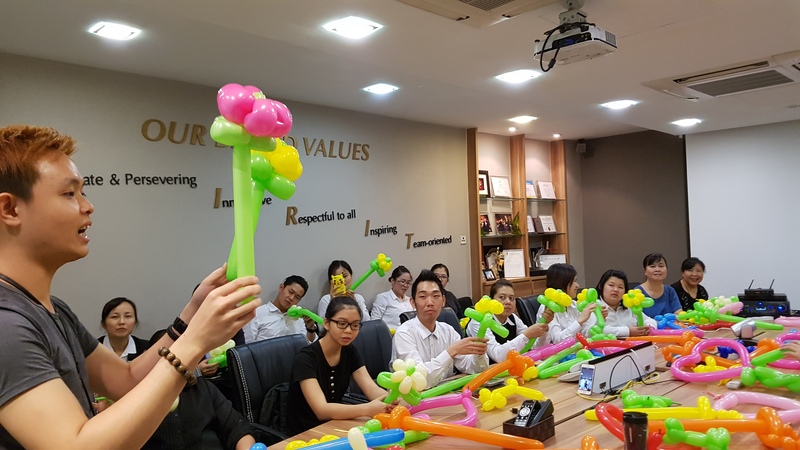 1) basic handling and introduction to materials and pumps. 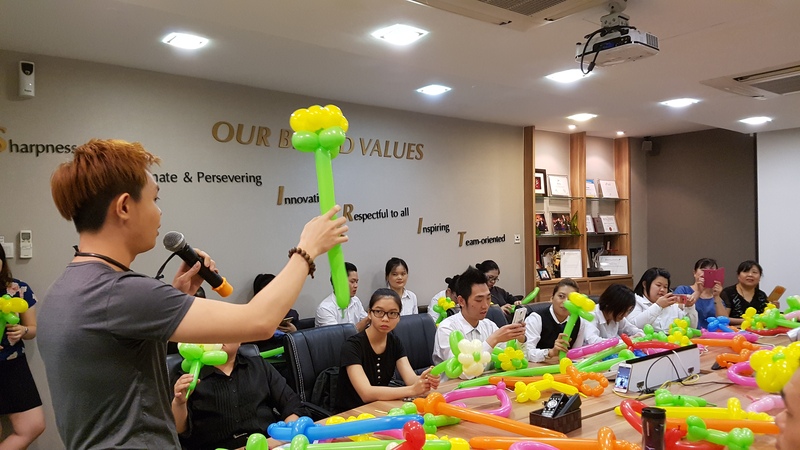 3) end off by letting everyone know where to buy the materials and websites to further learn more skills. 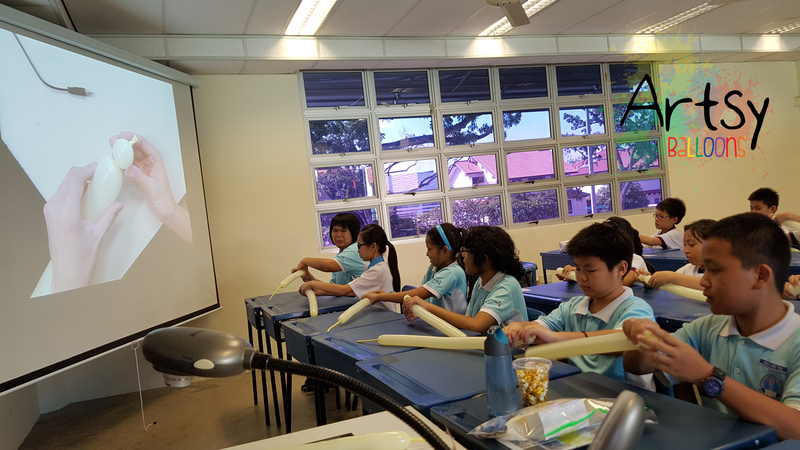 teaching through the visualiser, so the students can see the twist more clearly up close! 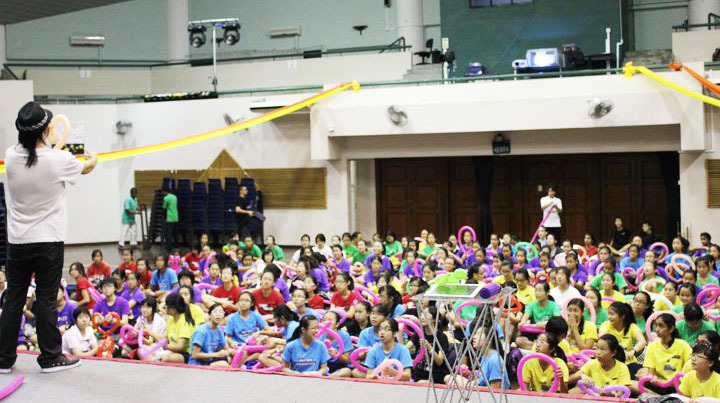 really attentive and talented students! 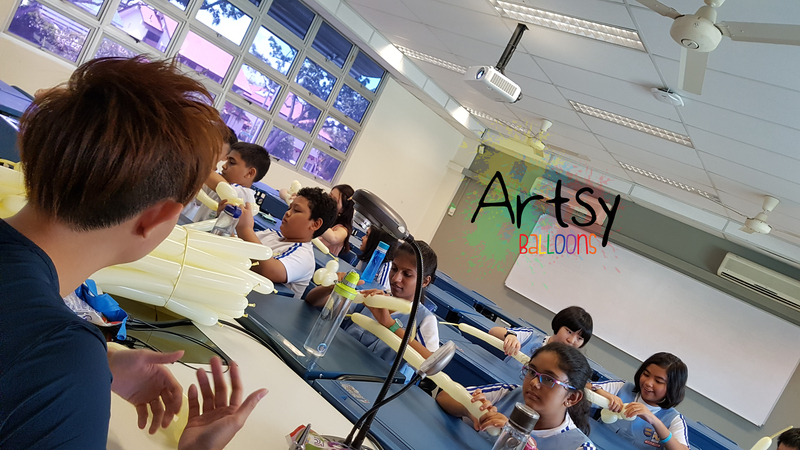 Focusing on creating their best sculpture! 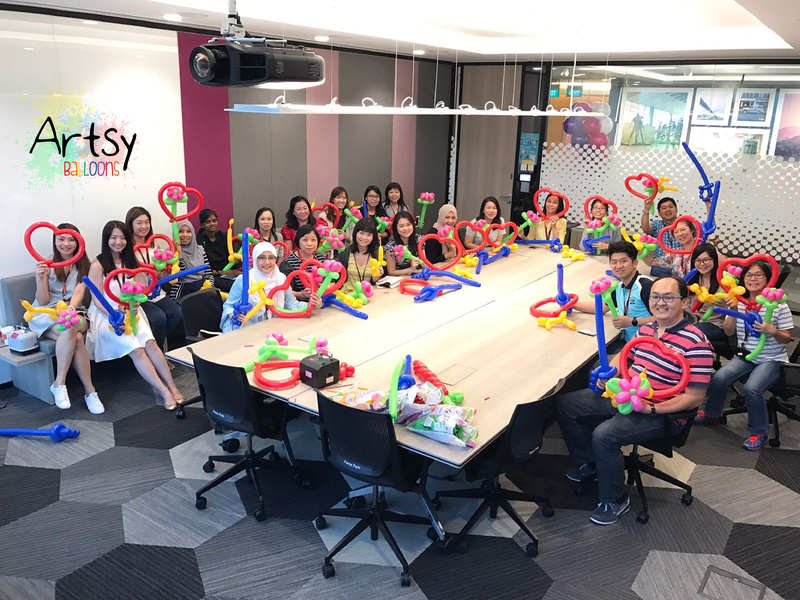 This is a workshop by professionals for serious learners. 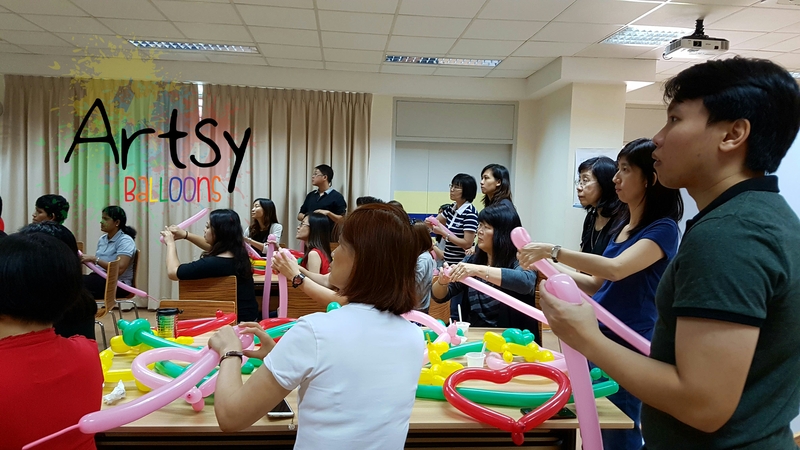 Our instructors; Ouji Yeo and Jocelyn Ng (JocelynBalloons) will guide you step by step on making balloon cartoon characters. 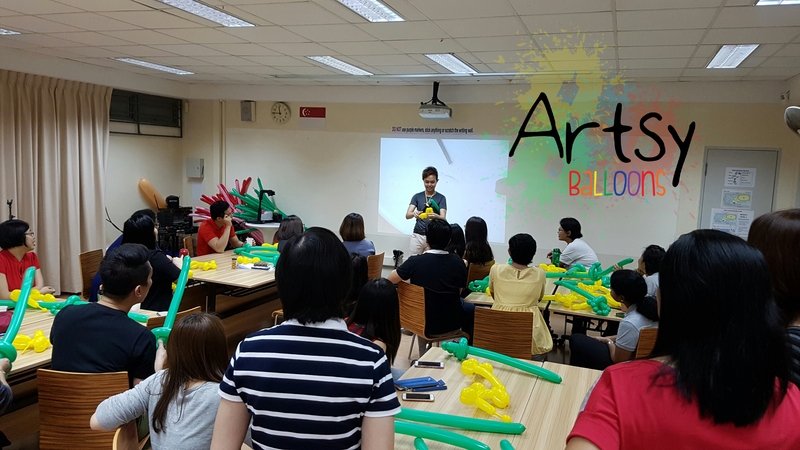 From sculpting techniques to marker drawing techniques, you will be able to master the art with the 3 lessons specially designed for you. 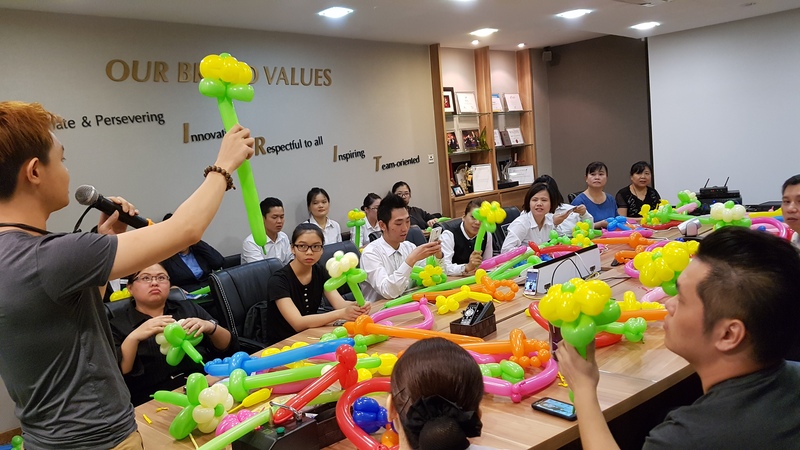 Most courses will be conducted a maximum of 5 students so that you can have the full attention spent by the instructors. 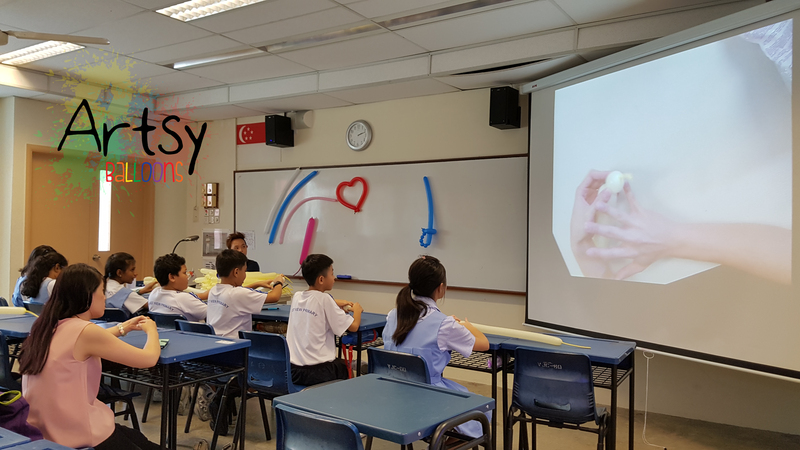 The first lesson is 2 – 3 hours, we’ll be learning the basic, introduction to techniques and will be learning a few simple exercises. 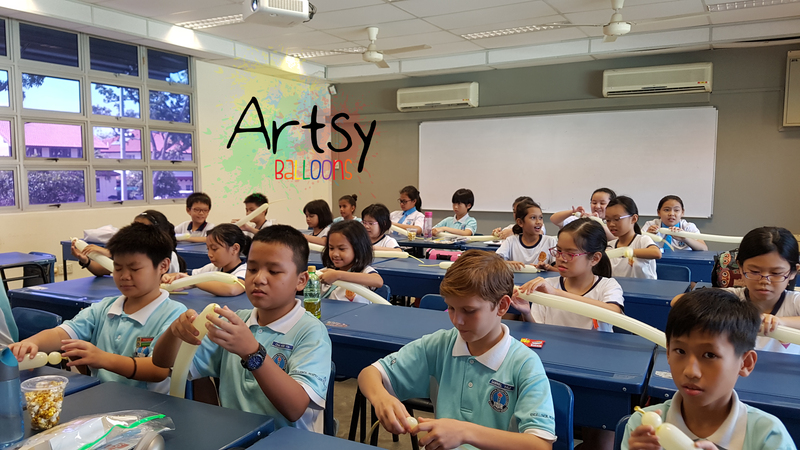 The second lesson is 4 – 5 hours, it’ll be more to animals and advance sculpting. 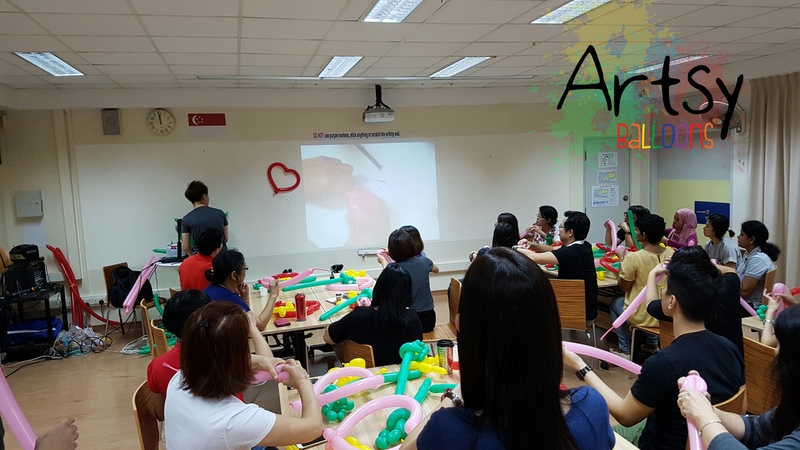 Introductions to rounds and heart shape balloons. 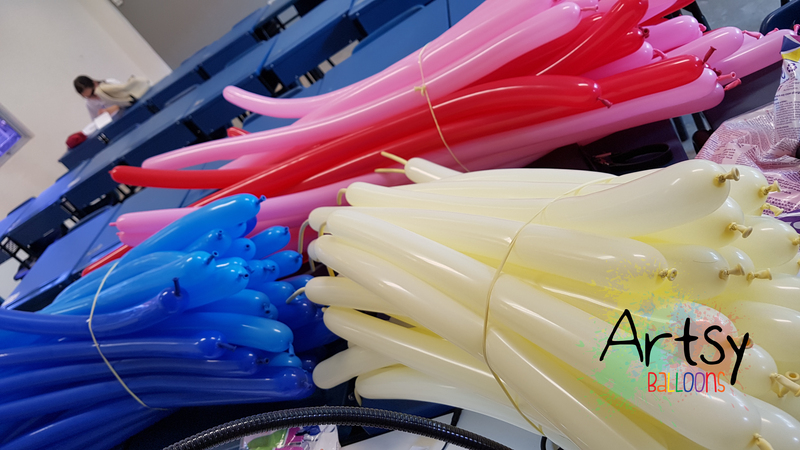 And after then it’ll be a little bit of balloon weaving and distortion. PLEASE WHATSAPP ME @ 96779426 AND I WILL ADD YOU IN THE WHATSAPP WAITING GROUP! 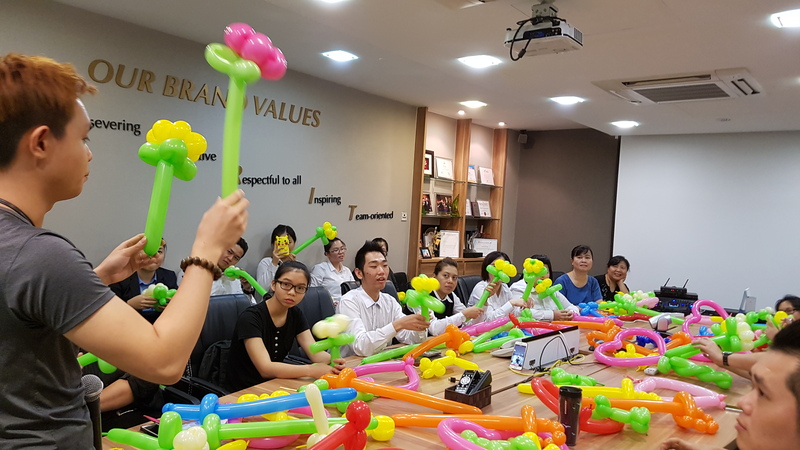 AS SOMETIMES I DO SPECIAL WORKSHOPS. 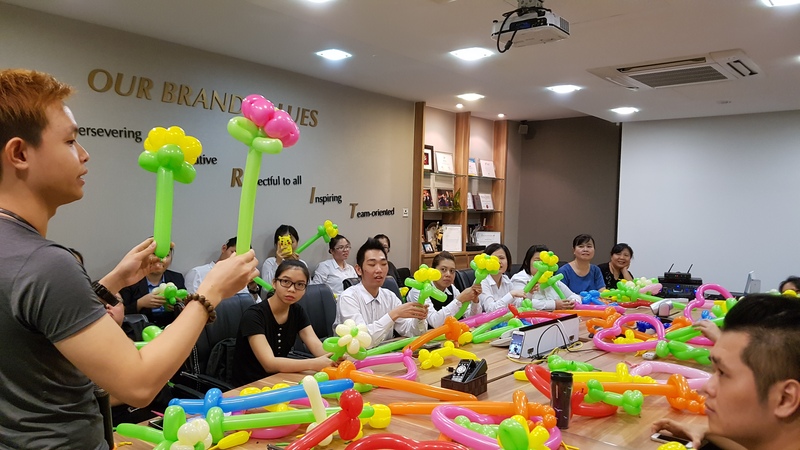 The first team building balloon workshop customized for companies in Singapore. 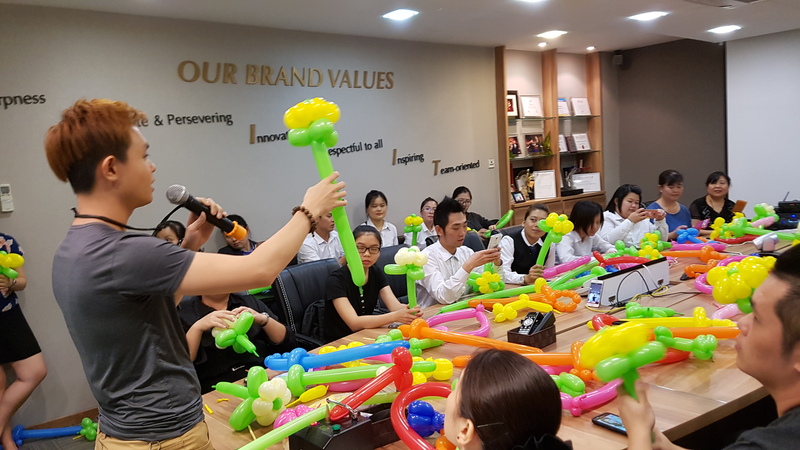 This is a 3 phase balloon workshop, customise for the best team-building experience for all corporate clients. 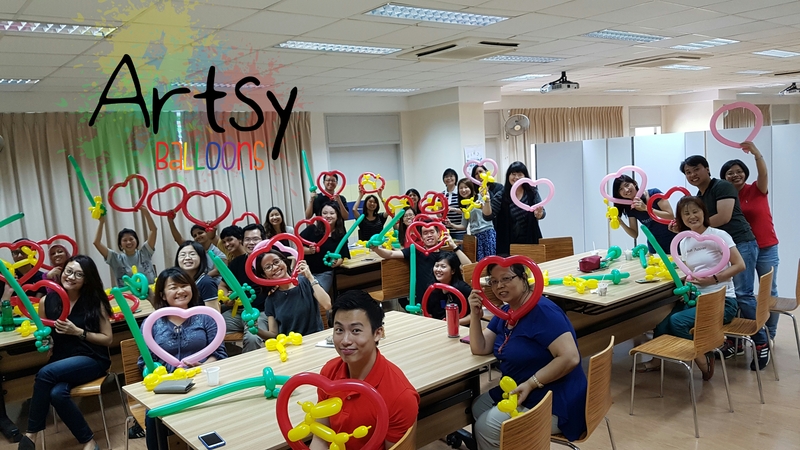 And finally creating awesome displays and artworks! 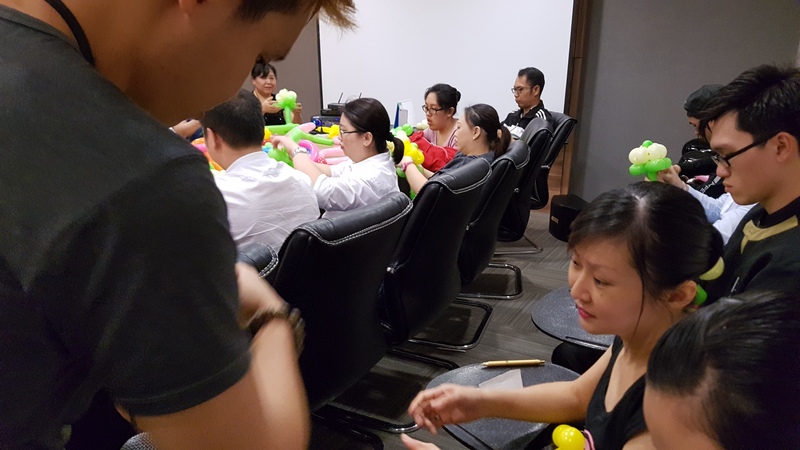 HERE ARE SOME PICTURES OF OUR PAST WORKSHOP THAT WE’VE CONDUCTED FOR PACKAGE 2! 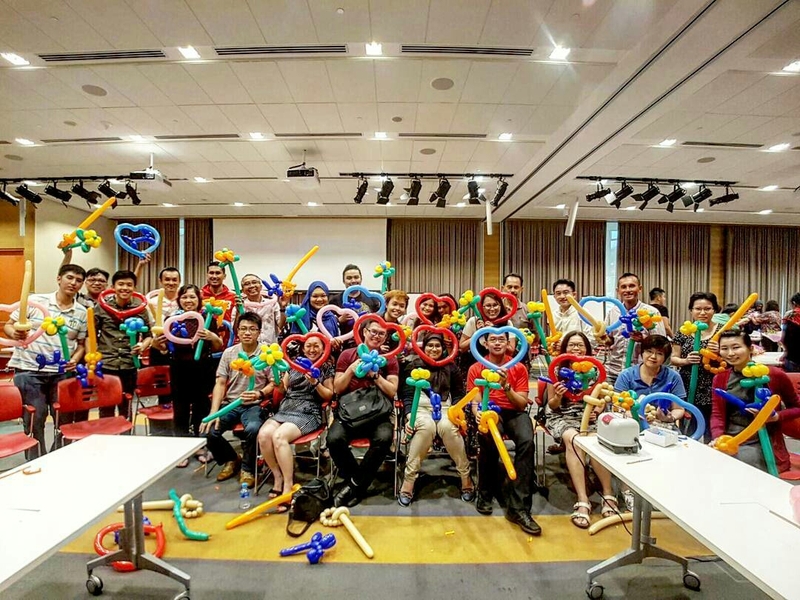 Do you conduct workshop? I am interested. Can you let me know? Hi! 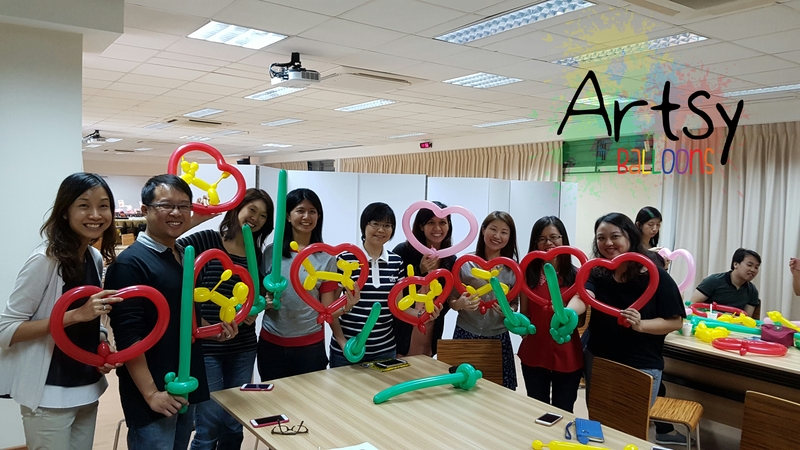 Yes, we do conduct balloon sculpting workshops in Singapore. 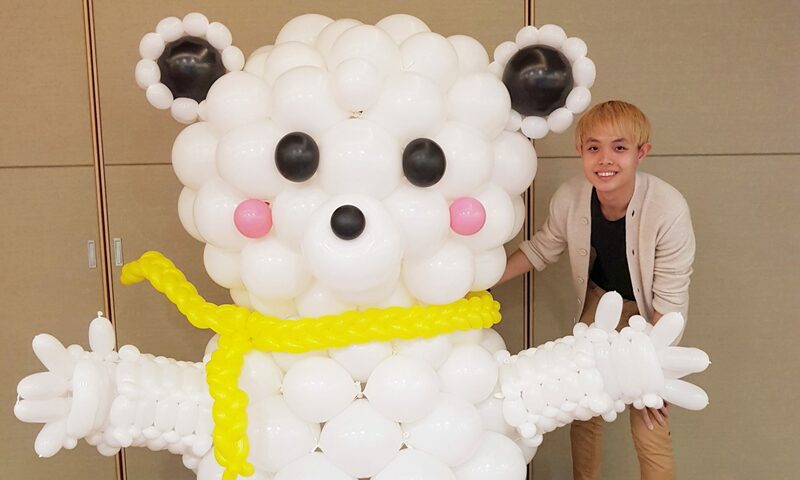 Hi I need to buy from you learning balloons CD .Do you have ? 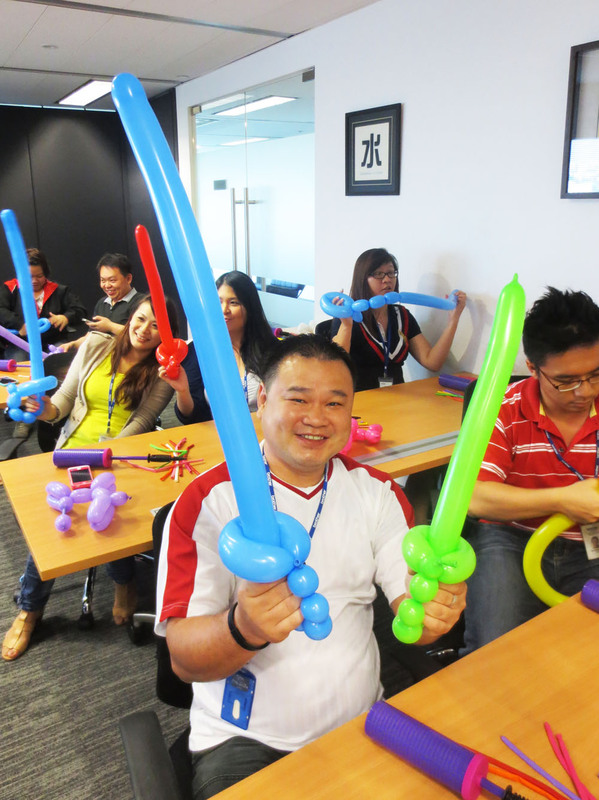 Is there june holidays balloon sculpting course for adult n kid? Hi, I would like to sign up for the intro course, when is the next class and where will it be held? 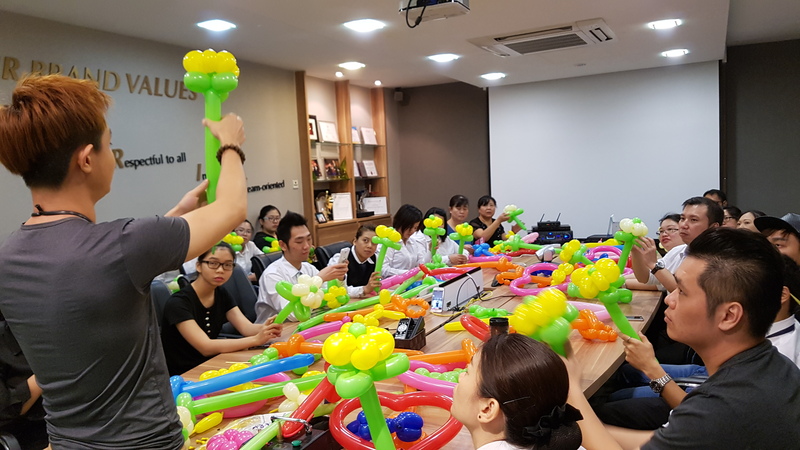 Sorry there’s no upcoming intro balloon course, there’s only waiting list for Advance course. 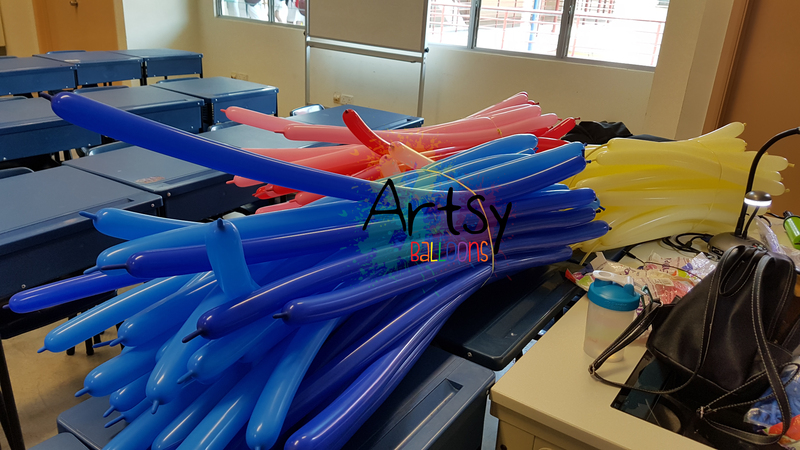 Hi, I am finding 2 balloon sculptors on 21 November from 10am-4pm to help sculpt balloons for children and was wondering what your rates are. Do contact me asap thank you!! 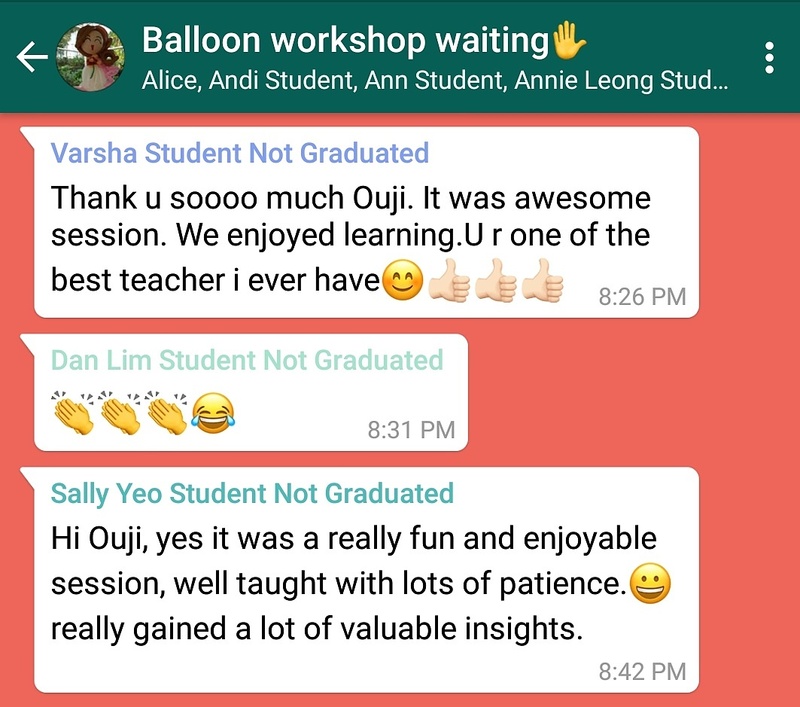 Hi, I am interested in taking the Introductory Workshop. Please provide details. Please whatsapp me or email me to confirm! Hello! I am interested in the Intro Course! Are there any upcoming course dates? 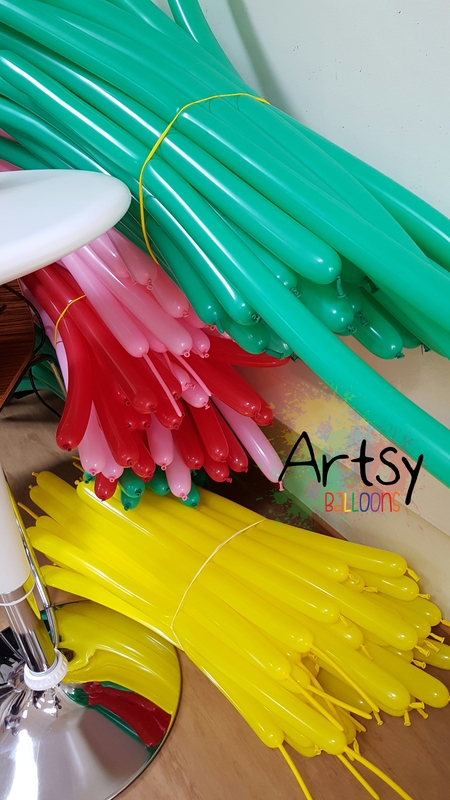 Hi, want to check if you guys are certified balloon artist ? I have been seeing some websites and some stated that they are certified .